We're very impressed with our curriculum. Now it's your turn! 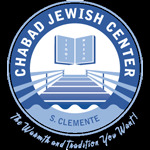 At Chabad Hebrew, our goal is to foster a warmth and love of Judaism while teaching the beautiful and rich Jewish traditions and history. Our Hebrew School, like many others, is changing the course of Hebrew reading with an innovative reading system. Based on the martial arts motivational philosophy of color-coded levels and testing, the Aleph Championprogram will provide our students with clear goals, motivation and a world of inspiration. Below is a brief description of the 10 color-coded levels implemented in the Aleph Champion program. Master the first 18 letters of the Aleph Bet. View the Hebrew School calendar here.